Investment and One-Stop Integrated Service (PMPTSP) Dept. 's permit service is considered good enough by City Council Commission B.
" Residents have experiencing fast, on target, and levies-free permission handling through its one-stop service"
City Council Commission B Member, Syarifuddin assessed, one-stop permit service applied by PMPTSP Dept. is fast and on target. He hopes this could be maintained and improved even more. "Residents have experiencing fast, on target, and levies-free permission handling through its one-stop service. We appreciate its optimal service," he said, Sunday (7/30). Jakarta PMPTSP Dept. 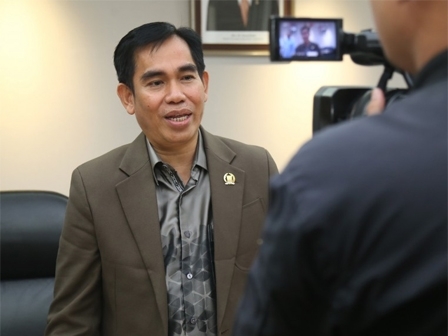 Head, Edi Junaedi stated, his side is targeting to finish residential building permit (IMB) process within 3 hours. "Personnel will analyze City Plan Description (KRK) data and adjust it with newest simulation zone drafted by its architect. This analyzing process takes around 30 minutes," he expressed. Next step is to calculate technical and retribution towards IMB documents, included Regional Retribution Decree (SKRD) for payment purposes to DKI Bank. "This process takes about 40 minutes," he said. He continued, SK IMB issued by technical team should be proposed to PMPTSP Dept. 's Administration and Unit Head. It takes 15 minutes. While waiting, applicant who received SKRT can complete the retribution payment in DKI Bank. "The last step, applicant needs to submit retribution payment receipt to one-stop service personnel without queuing to take issued SK IMB," he closed.